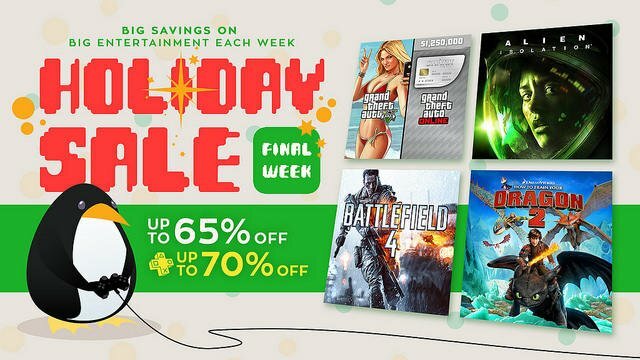 It's been a crazy sales season for the PlayStation Store with a huge Black Friday bang and a whole month of weekly holiday discounts to follow. Surprisingly, I haven't picked up too much besides Persona 4 Arena, but we finally have arrived to the last week before Christmas! Let's see if Sony has delivered any of the games on sale that I wanted to pick up cheaply! See the full list of games for sale below. Quite a few solid indie titles here again. Escape Goat 2 is one I would just love to play, but the problem is that it lacks Vita support. It is definitely more of the kind of game I would rather play on the go. Joining it are indie hits Race the Sun, Nidhogg, and Lone Survivor: The Director's Cut. All fun games, all worth the slashed entry price. As for the bigger games, you can't go wrong with Metal Gear Solid V: Ground Zeroes at just $6.80. That price is just a little bit ridiculous for such a good game. I haven't played the PlayStation 4 version of it yet, so I might just have to snag that one up. A few other big hits join it like Grand Theft Auto V, Alien: Isolation, Assassin's Creed: Black Flag, and Platinum Games' The Legend of Korra brawler. Oh well, I was hoping for the Vita version of Final Fantasy X and X2, but I can wait. I have plenty of games to hold me over this winter vacation.